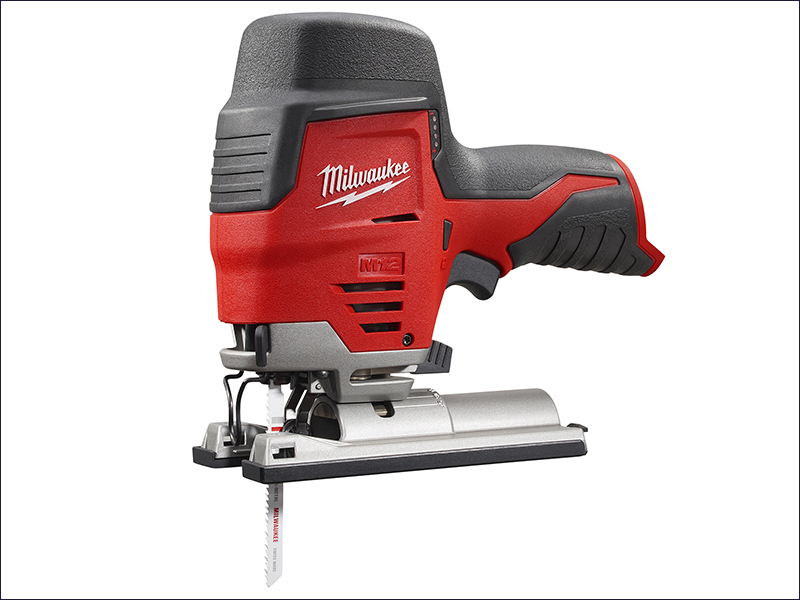 The Milwaukee M12 JS Compact Cordless Jigsaw has a hybrid grip design to combine the best features from both top grip and barrel grip jigsaw designs to provide superior cut control and balance. Ideal for carpenters, builder, cabinet/countertop installers, plumbers, electricians, and HVAC professionals for making quick cuts in wood, metal, wall tile, or plastics without the hassle of pulling out a cord. The jigsaw produces minimal vibration during cutting to ensure ultra smooth performance. A non-marking shoe comes as standard to protect work surfaces from scratching, and a precision roller guide is positioned close to the work piece to provide control and reduce blade deviation. The compact tool ID, along with a LED improves the cut line visibility, even in low levels of light. The M12 JS features REDLINK™ overload electronics in the tool and battery to deliver excellent durability. It has electronic variable speed control to provide greater flexibility and versatility. A QUICK-LOK T-Shank blade clamp allows secure, tool-free blade and accessory change. Overmould grip areas help to prolong user comfort. Able to perform plunge and bevel cuts. Strokes at No Load: 0-2,800/min. Bare unit only. Battery and charger NOT included.